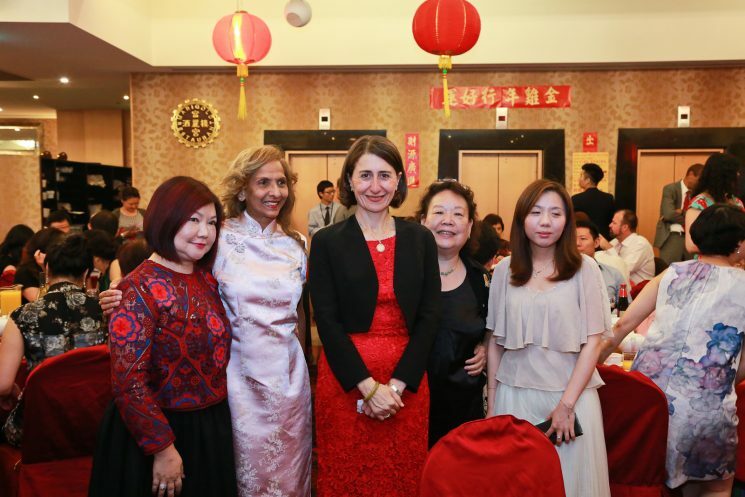 It is my great honour and privilege to be appointed to chair ACCF and NSW Chinese Community New Year Celebration Dinner to celebrate the year of the Rooster on 11 February 2017 at Marigold Restaurant. The Dinner was well attended with over 400 guests, members and community friends. While we were enjoying beautiful dinner provided by Marigold Restaurant, we also had Lions Dance and God of Fortune celebrating our traditional Chinese New Year. This year, our benefciary is “Immigrant Women’s Speakout Association of NSW” which provides support for women from culturally and linguistically diverse (CALD) backgrounds, including women and children escaping domestic violence through providing services including safety action plan, referral pathways to women’s refuge, crisis accommodation, living skills and counselling. As a non-proft service provider organisation, they rely signifcantly upon the generosity of the community and corporate Australia to support their life changing programmes. With everyone’s great support and generosity on the evening, we have successfully raised and donated $40,820 to them (this included $11,520.00 from funds raised by NAB at the Sydney Lunar New Year event). It can defnitely make a difference to people’s lives. I would like to take this opportunity to express my heartfelt gratitude and privilege for the attendance of the Hon Gladys Berejiklian MP, Premier of NSW, Mr Luke Foley MP, NSW Leader of the Opposition, Shadow Minister for Western Sydney. Mr David Coleman MP, Federal Member for Banks (representing the Prime Minister of Australia, The Hon Malcolm Turnbull MP). Senator Jenny McAllister, Deputy Opposition Whip in the Senate (representing The Hon Bill Shorten MP, Federal Leader of the Opposition). The Hon Ernest Wong MLC; Mr Mark Coure MP, NSW Parliamentary Secretary for Transport and Infrastructure; and Ms Jodi McKay MP, Shadow Minister for Transport, Shadow Minister for Roads, Maritime & Freight. I would like to express my sincere appreciation to our Corporate Sponsors; Gold Sponsors; Event and Decoration Sponsors; Auction Item Sponsors; all gift donors, friends, media friends; community leaders for their great support and generosity making this event possible and successful. Last but not the least, may I congratulate and thank our hard working committee members; members and volunteers who have demonstrated their hard work; dedication and community spirit. Their passion and efforts have highlighted the strong foundation of a legacy of service in our community.